As a Creative Director for Japan's premier advertising company, Razorfish Dentsu, Midori Ikematsu has worked with high-profile clients such as Guthy-Renker Japan, Air Asia, Cartier Japan, and many others. Her job has required her to make the transition from simply taking the responsibility for the content of an advertising project to understanding communication infrastructure and its technical aspects. 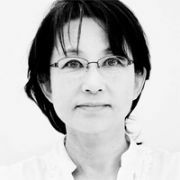 Midori comes to the Berlin School with 21 years of experience in the creative industries, including film production and advertising. She has won numerous awards, including the Telly Award for use of humor in advertising and the Clio Award for print media. Midori is the recipient of the Luerzer's Archive Scholarship for the Berlin School of Creative Leadership.